“When I look at the world around me, I find I must stand and dig in with the people facing injustice around the globe,” says Michél. 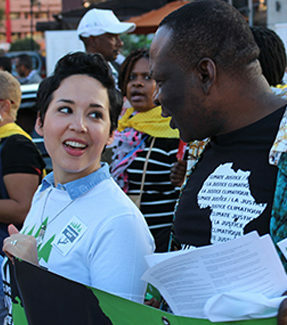 Michél has seen firsthand the ways that transnational corporations and their interests exploit and exacerbate societal inequalities and injustices — here in the U.S., in the Caribbean, and around the world. 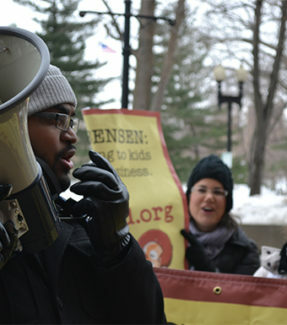 His desire to take on that power led him to Corporate Accountability, where he recruits, trains, and partners with members and activists around the country to take action. He helps build their leadership to work for long-term social change. 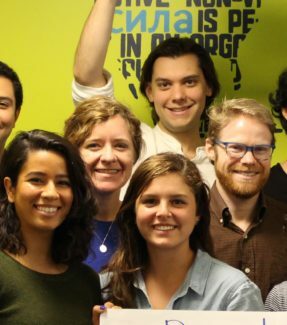 These Action League members advance our campaigns at the local, national, and international levels to challenge corporate power on issues of climate, water, food, our democracy, and public health. 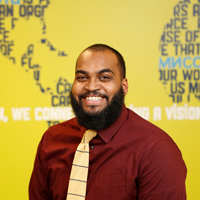 Michél has a bachelor’s degree in political science from Emmanuel College, where he previously worked as a campus safety officer. He has also twice hiked the Samariá Gorge in Greece.